National Mill Dog Rescue, a Colorado Springs-based organization, has partnered with Dog.com to help raise much needed funding and create awareness about the commercial dog breeding industry, also known as "puppy mills". 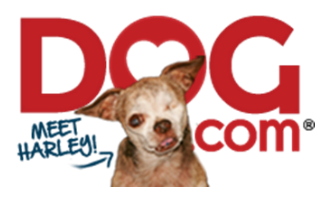 COLORADO SPRINGS, Colo. - Feb. 18, 2015 - PRLog -- National Mill Dog Rescue is pleased to announce that they have partnered with Dog.com thanks to one of their ambassador dogs, a little Chihuahua named Harley! National Mill Dog Rescue is a Colorado Springs based 501(c)(3) organization that rescues, rehabilitates, and re-homes discarded commercial breeding dogs from puppy mills. NMDR relies on volunteers to care for the dogs, from the moment they are surrendered to the time they are adopted and beyond. They depend on the generosity of the public to provide the high level of care they do for the dogs and to continue to be able to save them. To date, National Mill Dog Rescue has saved more than 9,800 dogs.